Zush got a reward for avoiding the skunk her sister tangled with. If you remember the skunk-related post, the attack was at midnight and I was the one cleaning Kasia in the bathroom.Well, despite the advice of the American Humane Association, she was somewhat clean, but essence of skunk went with her as she promptly went over to Zusher’s bed. Zush took it like a champ, even though I could read the look on Zusher’s face. 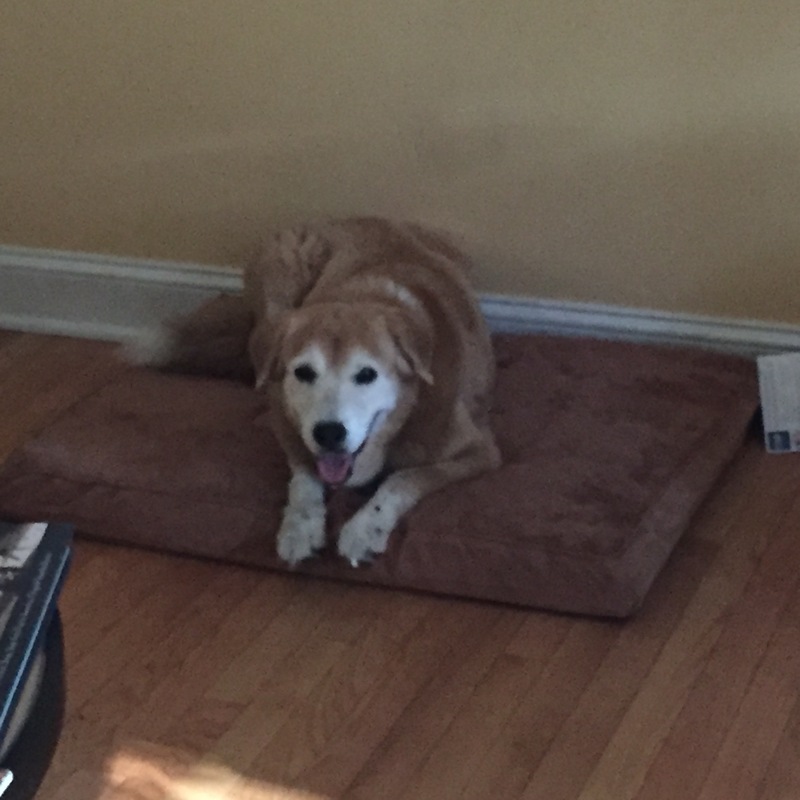 I took advantage of Amazon Prime day and got her a new bed: orthopedic mattress and soft sherpa cover.Both are washable, and my girl seems to love it.For now, I just police it and tell Kasia to go on the old bed.